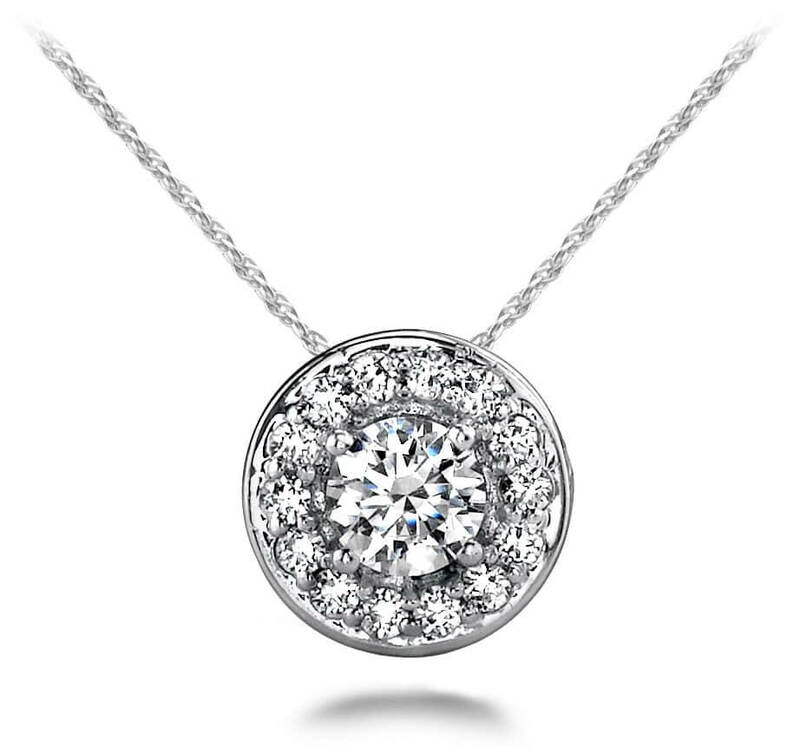 This pendant necklace features a lovely round gemstone that is prong set and surrounded by a circle of smaller prong set diamonds. The overall sparkle is very stunning! 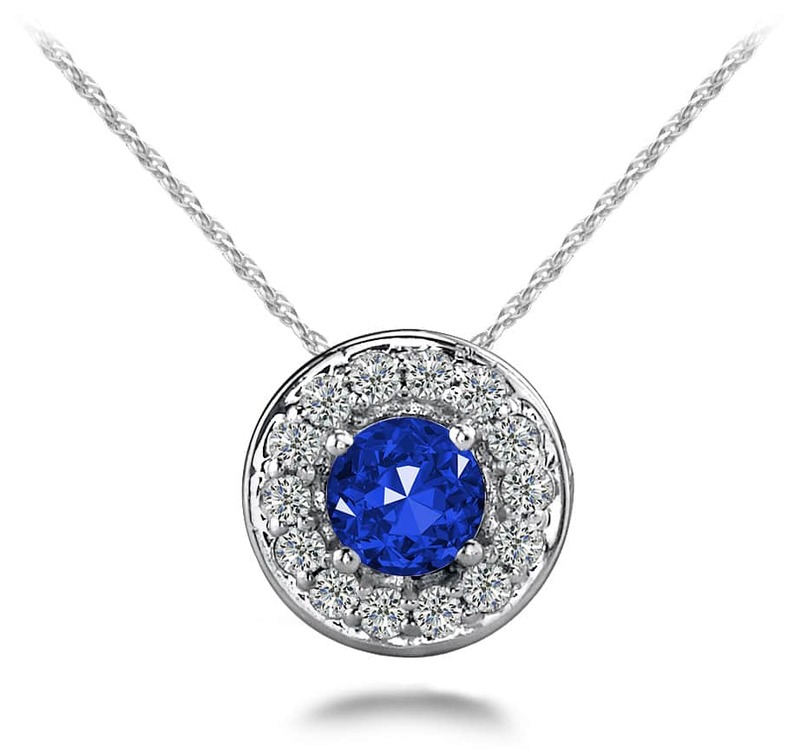 You can choose to make the .25 or .50 carat in your favorite metal type and then select the gemstone of your choice. Order the gold or platinum chain in any length to ensure this pendant highlights your neckline. Stone Carat Weight: 15X0.007 ct., 1X0.160 ct.